Usually, an estoppel certificate is requested by either the landlord or tenant whenever it is selling or refinancing property. In either case, the effect of the estoppel certificate is to bind the executing party to certain statements of fact and representations relative to the lease for the benefit of a prospective third party lender or purchaser who is relying on this information in making decisions about the property. The word “estop” simply means to prevent, stop or prohibit, and an “estoppel” certificate is basically a certification by either the landlord or the tenant that prohibits such party from taking a position contrary to what is stated in the certificate after the date of the certificate. This article will focus on tenant estoppel certificates requested by landlords and give tenants some practical pointers on what to look for in leases and estoppel certificates. What to look for in the Lease? Lease Provisions Pertaining to Tenant Estoppel Certificates. Most restaurant leases will have a provision requiring the tenant to provide a tenant estoppel certificate to the landlord and/or its prospective lenders or purchasers upon request, however, the details of what is to be included in the actual tenant estoppel certificate can vary from landlord to landlord and lease to lease. The reason most leases contain such a provision is that for a project to be financeable, the landlord must be able to provide proof of cash flow to the prospective lender or purchaser. The tenant estoppel certificate is an important way that landlords provide this “proof” as they assist lenders and purchasers in understanding the economics, and confirming the value, of the lease. When negotiating a lease tenants should pay particular attention to the estoppel certificate section. The estoppel certificate section should require the tenant’s direct execution of a certificate (as opposed to allowing the landlord to sign as attorney-in-fact if tenant fails to sign), set forth what facts or representations are to be included in the certificate, the time period within which the certificate is to be delivered, and the consequences for the tenant’s failure to deliver the estoppel certificate within the requested time period. There are several approaches to tenant estoppel certificates commonly used in leases. Leases most frequently contain language that sets forth an itemized list of the facts and representations that the estoppel certificate should include. An alternative to the itemized list is a simple lease requirement that the tenant sign an estoppel certificate in a form requested by the landlord. If the lease contains this language the tenant will want to make sure that the landlord’s request must be reasonable. This “reasonably requested” language permits the tenant to contend that any fact or representation requested is not “reasonable” if the tenant does agree with a particular request contained in the estoppel certificate. A third alternative is the requirement to execute an estoppel certificate in accordance with a form attached to the lease. It is important that this form be reviewed and negotiated at the time the lease is executed as the tenant will be bound to execute it upon request in accordance with the lease. A problem for landlords with this third approach is that when the form is being negotiated, the lender or purchaser is not usually a participant in the negotiations and may still require tenants to sign their own form of tenant estoppel certificate. What is in a Tenant Estoppel Certificate? As mentioned above, landlords need tenant estoppel certificates in order to confirm certain basic facts about a lease to a third party prospective lender or purchaser in connection with their diligence in financing or purchasing a property owned by the landlord. While those facts will vary from landlord to landlord or lease to lease some typically requested facts include: (i) confirmation of the commencement date and termination date of the lease, (ii) confirmation of the amount of rent payable under the lease, (iii) confirmation of the date through which rent has been paid, (iv) confirmation of whether there are any remaining options to extend the lease, (v) confirmation that the lease is in full force and effect and unmodified; (vi) confirmation of the amount of any security deposit posted with the landlord by the tenant, (vii) confirmation that no rent has been prepaid, (viii) confirmation of the date through which rents have been paid, (iv) acknowledgement that there are no outstanding rent concessions not stated in the lease, (x) acknowledgement that there are no options to purchase the leased premises, (xi) acknowledgement that there are no options to lease additional space in the landlord’s building; (xii) acknowledgement that there are no outstanding landlord construction obligations, (xiii) acknowledgement that there are no offsets or claims against the landlord, and (xv) acknowledgment that no defaults exist under the lease. A tenant should also be cautious in allowing unqualified statements or representations about the lease terms in estoppel certificates, even if at first they appear harmless. For example, tenants will want to try to limit “to tenant’s knowledge” a statement that the landlord and tenant are not in default under the lease because of the possibility of existing defaults that have not yet come to light. The lender or purchaser may reject such a qualified statement on the basis that the tenant could perform due diligence to verify the facts. In practice, however, such due diligence is nearly impossible in the time frame typically required in the lease for delivery of the estoppel certificate. An important example of rights that a restaurant tenant may be relinquishing by stating that there are no defaults under the lease relates to the landlord’s calculation and billing of common area maintenance charges. An unqualified statement in the estoppel certificate could mean that the tenant is giving up rights to audit the calculation of these charges. This is a particular dilemma in leases in which monthly expense charges are paid based on estimates and then later reconciled when records are available. Furthermore, a tenant should be watchful for additional items added to the list set forth in the estoppel certificate which are not customary or were not negotiated in the lease or provisions in the estoppel certificate that may contradict terms of the lease or attempt to modify or change terms of the lease. Some of these types of provisions include: (i) an acknowledgement that the landlord has completed all improvements required to be made by the landlord to the leased premises, (ii) an acknowledgement that the tenant has received all tenant improvement allowances or credits under the lease, (iii) the tenant will provide the lender an additional cure period to remedy landlord defaults, (iv) the tenant will simultaneously send the lender copies of all notices sent to the landlord, and (v) the tenant will not modify the lease without the lender’s prior written consent. What should you do before you execute a Tenant’s Estoppel Certificate? Pull out the lease and all amendments and confirm that the estoppel certificate properly references the lease and all amendments. Verify the requested factual statements and confirm that each of the representations contained in the estoppel certificate are true and correct. If you have any doubt concerning any fact or representation you are asked in the estoppel certificate you should contact your attorney before delivering it to your landlord because lenders or purchasers will seek to enforce an estoppel certificate against you if you later attempt to take positions contrary to what you stated in the certificate after the date of the certificate. 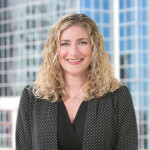 Kelly Caralis is an attorney in RIW’s Corporate & Business and Hospitality & Retail Services Practice Groups. She can be reached at kac@riw.com.